John Calipari doesn't have all the best players at Kentucky, but he does have more than his share on this list. There is an inherent danger in ranking the best players in college basketball when the first game of the season hasn’t tipped off, and it is this: In a sport so dominated by freshmen, we have no way of knowing how the hyped-up recruiting rankings will transfer in the real world of the college game. Let’s pull a Marty McFly, step into the DeLorean and travel back to one year ago to show just how off these predictions can be. Kansas’ Cliff Alexander was considered one of the top three recruits in the country, while Kentucky’s Karl-Anthony Towns and Ohio State’s D’Angelo Russell both were considered really good but in need of some polish. Russell told me he’d planned on a four-year college career, while Towns was ranked behind his Kentucky teammate Trey Lyles in a lot of recruiting rankings. I bring up the past for two reasons: The first is because you will no doubt be able to mock this list come March, both for its inclusions and its exclusions; the second is to explain why I am shying from putting too many elite freshmen too high in my rankings. There are some freshmen — like LSU’s Ben Simmons, Kentucky’s Skal Labissiere and Marquette’s Henry Ellenson — who feel like no-doubters. There are others – UNLV’s Stephen Zimmerman and Mississippi State’s Malik Newman come to mind – who I’ll take a wait-and-see approach with. So here we go. Tell me where I’m right; tell me where I’m wrong. Question why I included too few freshmen or too many point guards. Don’t consider this a mock draft; these are the best college basketball players in the country, not the best basketball players. Make fun of me on Twitter @reidforgrave. And go ahead – save this link for March, and mock me my inevitable misses. There will be a few. But hopefully a few hits, too. 51. Robert Carter, junior forward, and Diamond Stone, freshman center, Maryland. I couldn’t decide whether to put Carter or his dynamic freshman frontcourt teammate, Stone, in the final spot in my list, so I’ll give both honorary inclusion at No. 51. Carter, a transfer from Georgia Tech, and Stone are the two missing pieces who can turn Maryland from a really good team into a possible Final Four squad. 50. Eron Harris, junior guard, Michigan State. Harris, a West Virginia transfer, had to sit out last season when the Spartans made a Final Four run – which must have been as frustrating to Harris as it was to coach Tom Izzo, who could have used an 86 percent free-throw shooter on a team that was one of the nation’s worst from the line. Harris can score from all over the court. Adding his deep range to a host of other options ought to help the Spartans contend in the Big Ten. 49. Chieck Diallo, freshman center, Kansas. I can’t overstate how important Diallo’s up-in-the-air eligibility is for Kansas. If Diallo is on the floor, he fills what might be the only hole on America’s deepest, most balanced team. If he isn’t … then Bill Self has to rely on marginal (at best) bigs like Hunter Mickelson and Landen Lucas to man the post. With the athletic, high-motor Diallo, Kansas can win it all. 48. Sterling Gibbs, UConn. An ugly end to last season – a two-game suspension for an on-court mugging of Villanova’s Ryan Arcidiacono, and a Seton Hall season that quickly spun out of control – ought not obscure Gibbs’ talent. He averaged 16.3 points and made 43.6 percent of his three-pointers and was one of the top scoring threats in the country. Now on his third school, Gibbs has one season on a talented UConn team to try for redemption. 47. Shavon Shields, senior guard, Nebraska. The Huskers were hyped going into the season last year, then a mess during the season. Shields was one of the few bright spots. He averaged 15.4 points and six rebounds for a team that played elite defense but couldn’t score if its life depended on it. Call me crazy, but I think Nebraska could make the tourney this year. It’s addition by subtraction after losing Walter Pitchford and Terran Petteway and adding Tim Miles’ best recruiting class. Shields will benefit from a more balanced attack, and will surely improve on what was anemic three-point shooting last year. 46. Damion Lee, senior guard, Louisville. Poor Damion Lee. He was one of the nation’s leading scorers as a junior at Drexel, averaging 21.4 points with 38.5 percent three-point shooting, then decided to become a graduate transfer at Louisville. 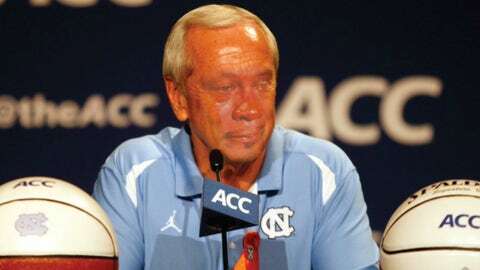 Now he’s part of a program involved in one of the biggest scandals to hit college sports in recent memory. Lee will still stand out amid the distractions. 45. Nic Moore, senior point guard, SMU. Moore is another great player whose final season of college basketball will be tainted by a scandal he had no part in. He is one of the most underappreciated point guards in the country and last season averaged 14.5 points and with a 2:1 assist-to-turnover ratio. He might have become a household name in March … if SMU had been eligible for postseason play. 44. Sviatoslav Mykhiliuk, sophomore guard, Kansas. Svi might be the best pure shooter in the country and is a helluva NBA prospect. It’s a testament to Kansas’ ridiculous depth that the only question is whether he’ll be able to get on the floor. The Ukrainian had just turned 17 when he enrolled at Kansas last year and was one of the youngest players in college basketball history – which might be one reason he played only 11 minutes per game. That’ll shoot up this year. 43. Daniel Ochefu, senior center, Villanova. Anyone remember seeing Ochefu his freshman year at Villanova? He was gawky and awkward. Now he’s one of the most skilled big men in the country and perhaps the best passing big man around. He is a humble sort who knows his role – and that role will make him a double-double machine for a fascinating Villanova team. 42. Kaleb Tarczewski, senior center, Arizona. It wasn’t that long ago when “Zeus” was a top-five recruit, right behind future lottery pick Nerlens Noel. Even though he hasn’t lived up to those expectations, he still has that in him. This will be his last shot to prove himself to NBA scouts. Plus, I had to put someone from Arizona on this list; freshman Allonzo Trier can flat-out score, but you know I break out in hives when I put too many freshmen on this list. 41. Jake Layman, senior forward, Maryland. It’s back to the more comfortable position of small forward for Layman, whose decision to forgo the NBA Draft is one of the big reasons Maryland is considered the class of the Big Ten and a national title contender. He made 37.8 percent of his three-pointers last season and ought to get more opportunities to shoot them, given how stacked the Terrapins are down low. 40. Grayson Allen, sophomore guard, Duke. Allen was the forgotten man of Duke’s lauded recruiting class last year – until he dunked all over Michigan State in the Final Four, then scored 16 points in the national title game to save a Duke team that was on the ropes against Wisconsin. Expect Allen to take on a bigger role for a squad that is even younger than a year ago. Allen showed a glimpse in last year’s tournament of what Duke fans can expect this season. 39. Damian Jones, junior forward/center, Vanderbilt. Vandy – Vandy! – could finish right behind Kentucky in the SEC, and Jones is a big reason. He’s a huge athlete who is still working on becoming a basketball player. Last season he averaged 14.4 points, 6.5 rebounds and 2.0 blocks per game. 38. Domantas Sabonis, sophomore forward/center, Gonzaga. My only complaint about Gonzaga’s phenomenal season last year: We didn’t get to see enough of Sabonis, the Lithuanian son of Arvydas Sabonis who may be the best NBA lottery prospect to only play 21 minutes a game as a freshman. The dude is explosive and vicious on the court. Gonzaga will have one of the best front lines in the country. 37. Kellen Dunham, senior guard, Butler. The sharp-shooting Dunham may be the closest thing the college game has to a Steph Curry. He’s averaged a shade more than 16 points each of the past two seasons and last season improved his efficiency, upping his three-point accuracy from 35.5 percent to 41 percent. He’s a joy to watch. 36. Jalan West, senior guard, Northwestern State. Where is Northwestern State? I don’t know! (Google tells me it’s in Natchitoches, La.) But West has a real chance to put Northwestern State on the basketball map. Last season, the 5-foot-11 guard averaged 20.7 points and 7.7 assists and made 42.2 percent of his three-pointers. Oh, and he nabbed 2.1 steals a game, too. Maybe the best college player you’ve never heard of. 35. Frank Mason, junior guard, Kansas. Mason is the motor of Kansas’ machine. He’s one of the best in the country at putting his head down and getting to the rim. Kansas fans were worried about the point guard position going into last season, but Mason made it the most reliable position on the court. Pairing him in the backcourt with Devonte Graham sounds terrifying for the rest of the Big 12. 34. Kyle Collinsworth, senior guard, BYU. Collinsworth tied the NCAA record with six triple-doubles in one season last year. An NBA scout told me Collinsworth is one of his favorite dark-horse NBA prospects in college basketball. Not having Tyler Haws alongside him may hurt his assist rate, but he’ll still put up numbers. 33. Anthony Gill, senior forward, Virginia. Who is the top returning player from KenPom.com’s player of the year rankings from a season ago? It’s not Gonzaga’s Kyle Wiltjer. It’s Gill, the unheralded senior forward for Virginia who played in the shadow of Justin Anderson and Malcolm Brogdon but might have been just as important to his team’s success. The raw numbers will never wow you, which is typical for a Tony Bennett player – he averaged 11.6 points and 6.5 rebounds last season – but his efficiency numbers are through the roof. 32. 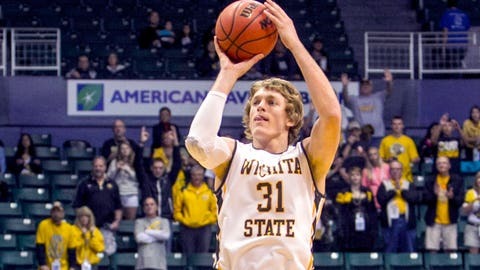 Ron Baker, senior guard, Wichita State. Baker can shoot for his fourth straight 30-win season in Wichita this year. That’s amazing. The dude is a pure shooter who can do a lot more and is just one more testament to Gregg Marshall’s ability to find diamonds in the rough. With a senior backcourt of Baker and Fred VanVleet, plus Kansas transfer Conner Frankamp coming off his redshirt and Cleveland State graduate transfer Anton Grady shoring up the frontcourt, the Shockers will once again run away with the Missouri Valley – and will be a force in March. Baker has had more than his share of success at Wichita State and more is on the way. 31. Henry Ellenson, freshman forward/center, Marquette. The near-7-footer is the jewel of Steve Wojciechowski’s recruiting class. He’s built like a brick house, with wide shoulders and a tough physique, yet he’s incredibly skilled, as we saw in his Team USA exploits during the FIBA World Championships. He’s great down low and great around the perimeter. That’s why, when DraftExpress.com floats a comparison to Kevin Love, it rings true. 30. Tyler Ulis, sophomore guard, Kentucky. Guilty as charged: I love point guards in the Tyler Ulis mold, those undersized, absurdly quick dudes who’ll pester you all over the court. Ulis is Kentucky’s most important player this year, and honestly, he might have been their most important player during the 38-1 season, too. He had 15 assists in Kentucky’s intrasquad scrimmage, but something we forget about Ulis is his shooting ability; he led the team in three-point shooting last season at 42.9 percent. 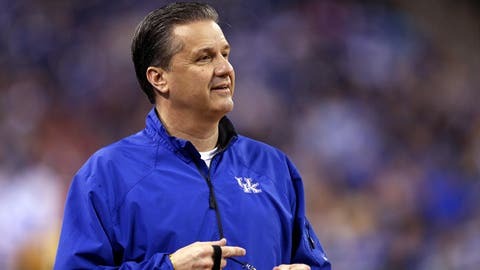 There won’t be a question as to who is the leader of this new version of the Kentucky Wildcats. 29. Rico Gathers, senior forward, Baylor. Gathers told me he plans to put his name in both the NBA and the NFL drafts next year. Gathers is such a physical specimen at 6-foot-8, 275 pounds that, even though he never played college football, getting drafted in both is a realistic possibility. He was, in my opinion, the best rebounder in college basketball last season, an absolute force down low. 28. Josh Scott, senior forward, Colorado. Injuries derailed Scott’s junior year, which makes him the forgotten man heading into his senior season in Boulder. You’d be silly to forget what Scott is capable of. At his best, he is an All-American-caliber big man who can vault the Buffaloes back into the NCAA tournament. When he was healthy, Scott quietly ranked 15th in the country in offensive rating last season, per KenPom.com. 27. Alex Poythress, senior forward, Kentucky. Poythress has had one of the strangest journeys of any college player to play four years in one program. His freshman season, which was supposed to be a one-and-done year going in, was Kentucky’s NIT disaster. His sophomore year was the roller-coaster season in which Kentucky sneaked into the NCAA tournament and then made it all the way to the title game. Then Kentucky’s top glue guy had to watch the 38-1 season last year from the sideline after tearing his ACL in December. More than anyone on this talented Kentucky squad, Poythress will be playing with an urgency of knowing this year will be his final shot. If he continues to accept his down-and-dirty role as he did during the first month of last season, he’ll be the man who holds this young Kentucky team together. When I saw him play in Kentucky’s Blue-White Scrimmage, he looked like the Poythress of old. 26. 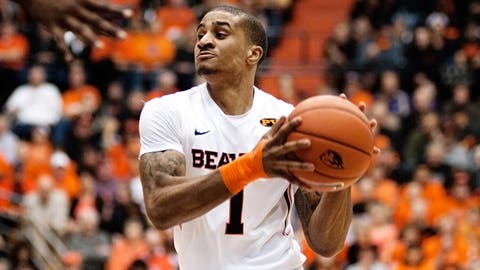 Gary Payton II, senior guard, Oregon State. Payton led the nation in steal percentage last season, according to KenPom.com. That’s not exactly a surprise, since his father might be the best ball-swiper of all time. His shooting is a work in progress, but Payton may be the only player in the country who can lead his team to the NCAA tournament on the strength of his defense alone. Like his dad, Payton is best known for his defense. 25. A.J. Hammons, senior center, Purdue. He’s big – really big – and he’s strong – really strong. The 7-foot, 261-pound Hammons anchors the nation’s biggest frontcourt alongside fellow 7-footer Isaac Haas and highly recruited freshman Caleb Swanigan. Hammons ranked 11th in the country in block percentage last season, per KenPom.com. His Achilles heel is turning the ball over too often. 24. Denzel Valentine, senior guard, Michigan State. If you had Michigan State making the Final Four last season, I applaud you – because I sure didn’t. But with Valentine’s leadership (and dead-eye three-point shooting) returning for his senior year, the Spartans ought to contend at the top of the Big Ten once again. This team may be even more talented than last season’s Final Four version. 23. Troy Williams, junior forward, Indiana. Williams can do everything but shoot the three, which is just fine for an Indiana team that’s already filled with gunners. He may be the best athlete in the Big Ten. He can be wildly inconsistent, but he’s also the type of player who can make your jaw drop. 22. D’Vauntes Smith-Rivera, senior guard, Georgetown. I don’t know whether he’ll be an NBA player, but Smith-Rivera has been a phenomenal college player. He leads a talented Georgetown team that should contend at the top of a chock-full Big East. A college basketball analytics site I love to use, valueaddbasketball.com, has Smith-Rivera ranked as the fifth most valuable college player in the country, a spot ahead of his Big East nemesis Kris Dunn of Providence, who has been tabbed as a possible national player of the year candidate. 21. Jalen Brunson, freshman guard, Villanova. That’s right – my highest-ranked player from the best team in the Big East isn’t senior Ryan Arcidiacono or senior Daniel Ochefu. It’s the newbie who will, along with Archidiacono, form the smartest backcourt in the country. Nobody impressed me more during tryouts for the Team USA U19 team this summer (and then at the FIBA U19 in Greece) than Brunson, who won MVP for the gold-winning American team. He’s as good at facilitating as at scoring. His court awareness would be an uncommon skill even if he were a college senior. It’s precocious in a freshman. 20. Demetrius Jackson, junior guard, Notre Dame. After Jerian Grant graduated, the Fighting Irish became Jackson’s team, and he’s ready for it. He may be the best pure point guard in the country: strong, explosive, an incredible distributor and a great shooter (42.9 percent on threes last season). He can run the floor. He can finish. Oh yeah: He can play defense, too. Don’t be surprised when he’s the shortest player (a shade over 6 feet) taken in the next NBA lottery. 19. Jakob Poeltl, sophomore center, Utah. After Delon Wright graduated and left for the NBA, Utah won’t be as good as a season ago, when it was one of the most underrated teams in the country. But the Utes still will contend in the Pac-12, in no small part because the Austrian 7-footer opted to come back for a sophomore season instead of becoming a certain first-round pick. The kid is huge and an elite shot blocker. 18. Malcolm Brogdon, senior guard, Virginia. Brogdon has been a rock for Tony Bennett’s Virginia Cavaliers for the past three seasons – which included back-to-back ACC titles for one of the nation’s fastest-rising programs. You can refer to him as Virginia’s leading scorer for two straight years; I’ll just pronounce him a winner. He does it all for a Virginia team who with its trademark suffocating defense ought to be great, again. 17. 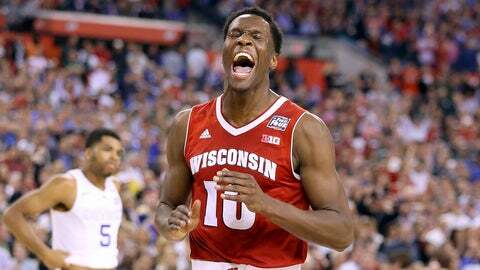 Nigel Hayes, junior forward, Wisconsin. You know him because he uses big words at press conferences, but Hayes should follow in the footsteps of his teammates Frank Kaminsky and Sam Dekker from last year’s national runner-up squad and become another first-round pick for coach Bo Ryan. You hear a lot of “this guy is such a hard worker” platitudes this time of year, but trust me: This guy is such a hard worker. He set his alarm at 4:52 a.m. all summer because it seemed more impressive to wake in the 4s than the 5s. He’ll keep Ryan’s youngest team ever near the top of the Big Ten. The Badgers are Hayes’ team now. 16. Georges Niang, senior forward, Iowa State. Iowa State is a Final Four-caliber team if three players – Niang, big man Jameel McKay and point guard Monte Morris – stay healthy. It will be interesting to see how Niang, a unique offensive player in college basketball, adapts to new coach Steve Prohm’s system. My guess: Prohm’s offense will look the same as Fred Hoiberg’s and will utilitize Niang’s skills to the max. 15. Caris Levert, senior guard, Michigan. It was Levert’s season-ending foot injury that officially sent Michigan’s season off the rails last year. But with Levert and point guard Derrick Walton Jr. returning, Michigan will be back toward the top of the Big Ten. Levert’s game is smooth as a baby’s skin. He is the complete package at shooting guard (and with a little bit of point guard ball-handling skills): He’s big, he can shoot inside and outside the arc (40 percent from three the past two seasons), he can pass and he can defend. He could lead the Big Ten in scoring. 14. Perry Ellis, senior forward, Kansas. Almost by default, I gotta put a Jayhawk in my top 15. After all, I’m picking Kansas to win it all this year. This is a stacked and balanced team that doesn’t have one player who stands out as The Guy. Ellis may not have an alpha male mentality, but night in, night out, Bill Self can count on him for 15 points and eight rebounds. He’s the Big Fundamental, college version. 13. Brandon Ingram, freshman forward, Duke. The 6-foot-9, 190-pound Ingram is an extraordinarily long wing with an extraordinary amount of offensive skill. Sure, he’s still too skinny, which could be the only thing holding him back from being a true college star. But his potential is sky-high, and we saw what Coach K did with a group of freshmen last year. It’s not as insane as it sounds to say he has a little bit of Kevin Durant in him. 12. Yogi Ferrell, senior guard, Indiana. Ferrell has been at the forefront during all the ups and downs of the past three seasons at Indiana: The No. 1 ranking his freshman year, the hugely disappointing follow-up season his sophomore year, the off-field issues that have tainted the program, Tom Crean’s reinvention to more of a small-ball system last year, and, now, the renewed optimism for a team that is ranked 15th in the nation in the preseason USA Today Coaches Poll. Indiana is a dark-horse Final Four team this season because of Ferrell. He’s become a dead-eye shooter and has improved on his turnovers. 11. Jaylen Brown, freshman forward, California. What an intriguing team Cuonzo Martin has in Berkeley. After securing two of the nation’s most sought-after recruits in Brown and local product Ivan Rabb, Martin will have a blue-chip class joining Tyrone Wallace, Jordan Matthews and Jabari Bird for a team that could win a wide-open Pac-12. Brown ought to be a mid- to high lottery pick next year; he’s a dynamic, slashing wing who can defend at an elite level. Because of Brown, this may be one of the most fun to watch teams in the country. 10. 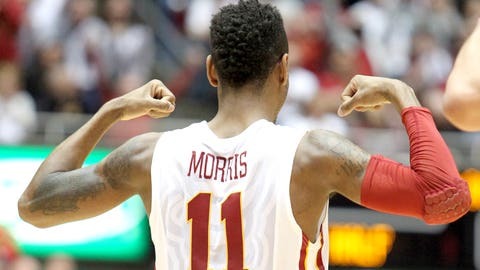 Monte Morris, junior guard, Iowa State. I am higher on Morris – and what his quarterbacking skills at point guard mean to a Final Four-capable Iowa State team – than just about anyone. He has put on a lot of muscle since his freshman year. He’s still that two-steps-ahead type of basketball thinker, having led the nation in assist-to-turnover ratio two years in a row. But he’s trying to be a more aggressive player at getting to the hoop. He’s crucial for new coach Steve Prohm because there really isn’t a backup point guard option. Iowa State’s No. 11 is one better than that in this ranking. 8. Buddy Hield, senior guard, Oklahoma. Hield decided to come back for his senior season, and coach Lon Kruger couldn’t be happier because Hield was an enormous part of his team’s production last season. He accounted for nearly a third of the Sooners’ shot attempts. If Hield has one weakness, it’s settling for jump shots, which can make him a bit one-dimensional. If he gets to the rim more, Hield could be a dark-horse player of the year candidate. 7. Jamal Murray, freshman guard, Kentucky. Labissiere is the one pegged as Calipari’s next No. 1 overall pick, but it could be Murray who makes the biggest impact for Kentucky this season. The dude can flat-out score, which he proved with his 40 percent three-point shooting during his bravura performance playing for Team Canada during the summer Pan American Games.. He’s going to be the king of jaw-dropping plays this season. It’s an intriguing dynamic in Lexington. Last year, Calipari was flush with talented big men. This year, he’s flush with talented guards. Will be interesting to see how often Murray, Ulis and freshman guard Isaiah Briscoe see the floor together in a small-ball lineup. 6. Marcus Paige, senior guard, North Carolina. UNC has as high of expectations this year as any year of Paige’s career, and Paige is this team’s unquestioned best player: a senior point guard who can pass, shoot, drive, play excellent perimeter defense and lead. Barring injury, Paige should finish his UNC career with a monster season. 5. Melo Trimble, sophomore guard, Maryland. Trimble might have been the biggest surprise of last season’s freshman class, bursting onto the scene as a bona fide star. As the unquestioned leader of a deep, stacked Maryland team that could win it all, Trimble ought to be a stud. The only two things that could stop him are if he doesn’t cut down on turnovers and if he doesn’t get as high of a percentage of buckets on this multi-headed beast of a Maryland team as he did a year ago. 4. Kyle Wiltjer, senior forward, Gonzaga. Wiltjer’s ascendance last season – he sat out the year before after transferring from Kentucky, where he was forever doomed to be overshadowed by one-and-done talents – was a joy to watch. He was one of the most efficient scorers in college basketball, averaging 16.8 points on an otherwordly 46.6 percent shooting from three-point range, and he made the top 10 in KenPom.com’s player of the year rankings. This year Gonzaga returns that entire monster frontcourt of Wiltjer, Sabonis and Przemek Karnowski. 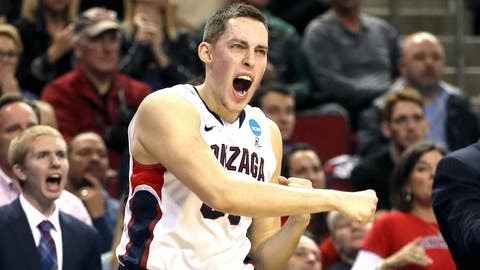 Wiltjer is the anchor of a hugely talented Gonzaga front line. 3. Ben Simmons, freshman forward, LSU. My highest-ranked freshman, and for good reason. It’s an utterly unfair comparison to make, but Simmons – who plays a hybrid point forward-type position – is the closest thing college basketball has seen to a LeBron James in a long time. The only thing missing from the jewel of Johnny Jones’ excellent recruiting class is a reliable three-point shot. If I were a struggling NBA team, this would be the guy I would tank for. 2. Kris Dunn, junior guard, Providence. Not many people expected Dunn to return to college after his breakout season a year ago, when he lived up to the potential that we caught only glimpses of in his first two injury-riddled seasons. But he did come back, and on his shoulders alone Providence ought to be an NCAA tournament team. My only worry is whether he can shoulder the entire load. He did it all last season, averaging 15.6 points, 7.5 assists, 5.5 rebounds and 2.7 steals as one of the best two-way players in the country. 1. Fred VanVleet, senior guard, Wichita State. 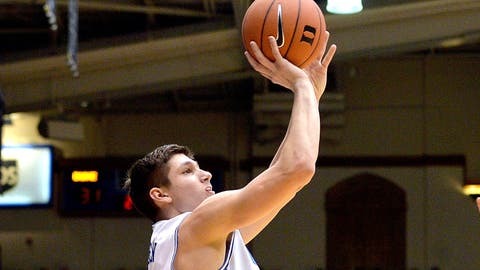 That’s right – a year after a freshman-dominated Duke team won it all, a senior is my top player in college basketball! There’s a little bit of legacy award-granting going on here, since in his three years, Wichita State made a Final Four, then became the first undefeated team entering the NCAA tournament in a quarter-century, then beat in-state rival Kansas on the way to the Sweet 16. If you’re not on board the VanVleet bandwagon by now then shame on you. He’s one of the better perimeter defenders in college basketball and one of the best quarterbacks from the point guard position. There’s no statistic that measures leadership, but this dude has it in spades. And he’s dropped 18 pounds in a little more than a year, cutting up and adding muscle. Wichita State ought to hover around the top 10 most of this season, and it’ll be VanVleet leading the way.